The first unveiled during CES 2015 early this year the Narrative Clip 2 Lifelogger camera is now available to preorder for the next 12 days at a special $199 price. Shipping off the Clip 2 camera is expected to start sometime during September 2015 and anyone that preorders the life-logging camera in the next two weeks will receive an exclusive skin as well as a chance to win a ‘Golden Ticket,’ providing a free round-trip ticket. To re-cap the Narrative Clip 2 camera automatically take a photo every 30 seconds throughout your day and is equipped with both Wi-Fi and Bluetooth to automatically upload and store your photos securely in the Narrative Service, when connected via WiFi to a network and also connected to a power socket. “Authentic smiles, sudden surprises or your baby’s first step. 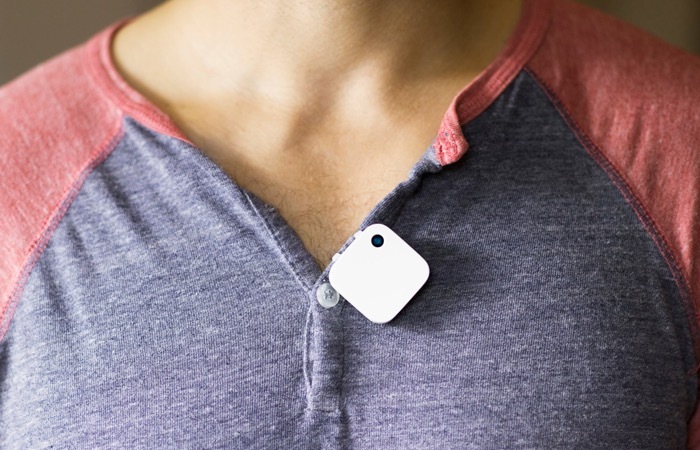 The automatic photo capture of Narrative Clip 2 lets you stay in the moment while capturing it. Keep your mind and hands free when it matters, while still being able to collect and share your stories.